Following the popularity of the lovely Lilly Von Pinks half moon manicure tutorial last week here is another one by the lovely vintage beauty expert. 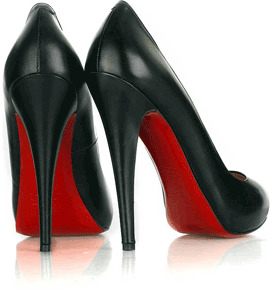 This time its a Christian Louboutin inspired version. 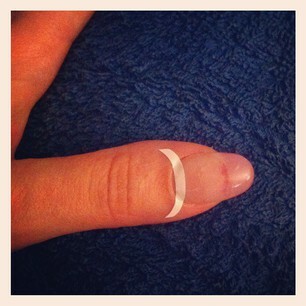 As always start with clean polish free nails, Push back cuticles leaving the nail bed clean and clear. 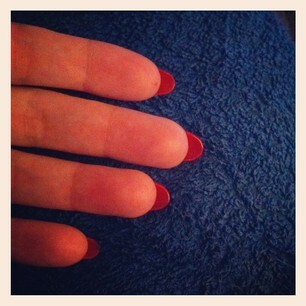 Starting with your Bright Red Paint the underside of your nails just like the underside of the Louboutin shoes. Allow the second coat a few moments to dry before removing the sticker. 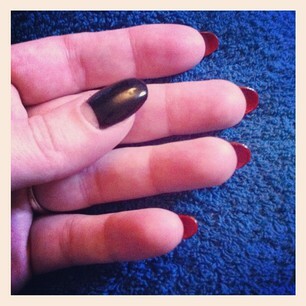 Finish with a coat of clear top coat and allow to fully dry. For more vintage inspired beauty tips check out my vintage beauty page.